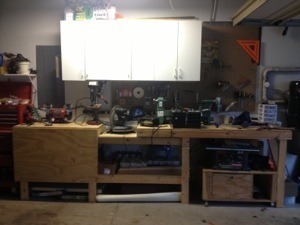 Here is the final workbench as it stands now. Now let’s look closer at each piece. 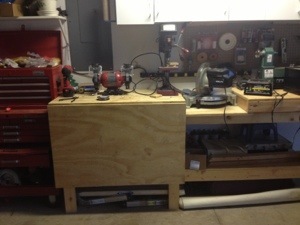 The table saw station is on a hinged roll out cabinet. 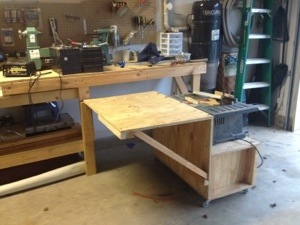 At the other end of the bench is a flip up table top that provides more work space. 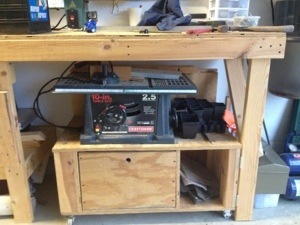 This is ideal when using a scroll saw or for gluing and clamping work pieces. 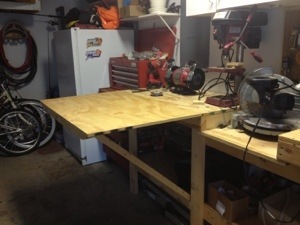 When the pieces are folded and rolled back in place, it allows us to still get two cars in the garage. 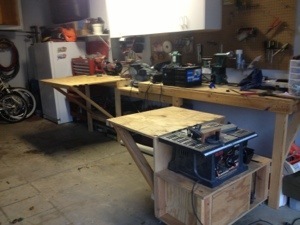 But when it is time to work we can transform the workbench into great space to create.